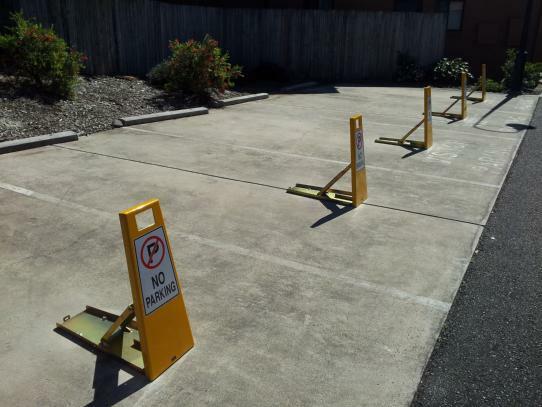 TPS Traffic & Parking Systems We recently installed these fold down Parking Sentry’s to restrict residents in this townhouse development from occupying the visitor parking bays. The issue that Bodys Corporate have with unit owners parking in the visitor parking bays is a theme that we across all too often. This townhouse development put an end to the parking issues by securing each parking bay with our parking sentry and running a booking arrangement for access to keys.